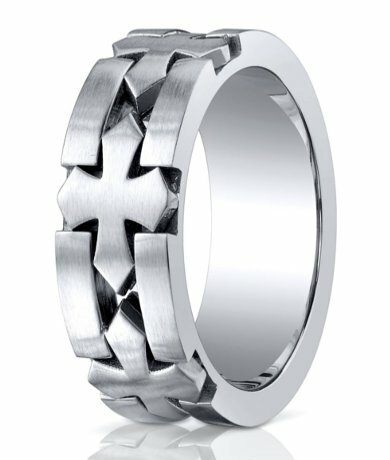 A traditional Celtic cross design gets a rugged modern update in this eye-catching men's cobalt chrome wedding band. 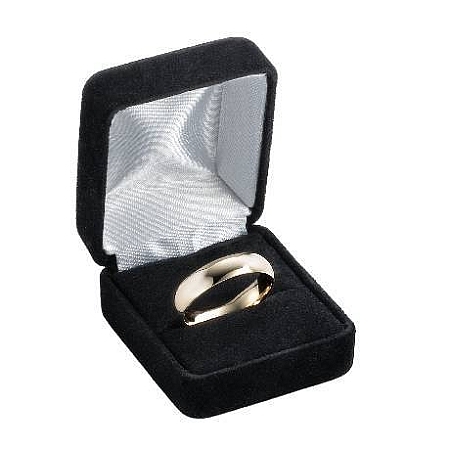 This designer ring has a satin finish, flat profile, 10mm comfort fit band and three large Celtic crosses on one side of the ring. 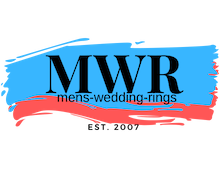 Made from durable and hypoallergenic cobalt chrome, it is equally suitable as a contemporary wedding band or engagement ring for men.Comfort-fit rings should be ordered 1/2 size smaller!